Inspired by ships’ lighting and named after the famous Plymouth naval base, this solid and weighty oval lamp brings seafaring style to dry land. 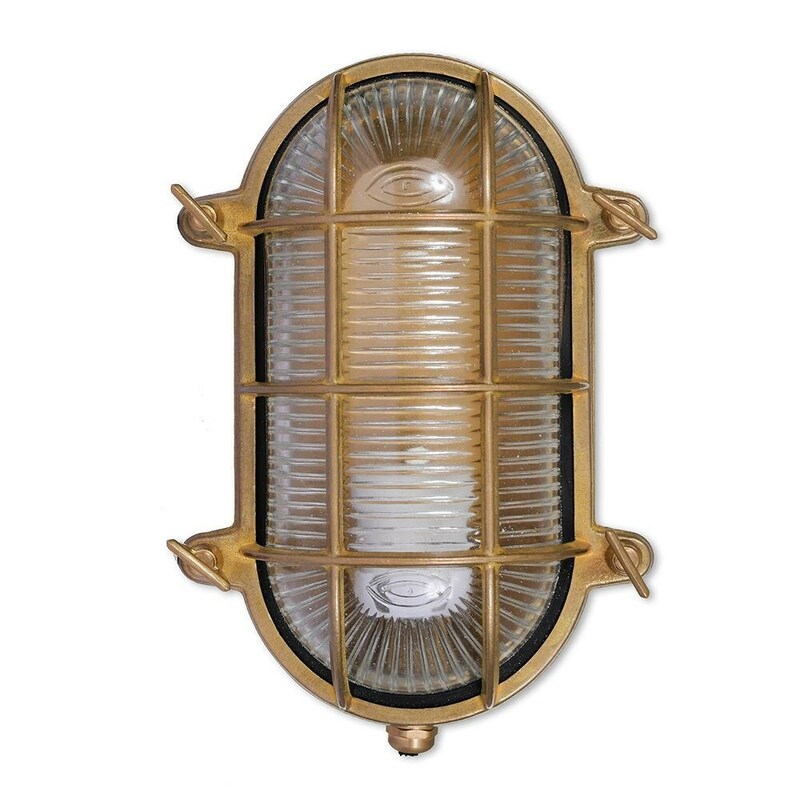 Made from heavy brass and thick ribbed glass, the durable and weatherproof light is IP65 rated for use outdoors. Ideal for mounting beside the front door, on the garage or shed, or adding authenticity to a nautical-themed bathroom. The brass has been left untreated so it will naturally darken over time, eventually to a green verdigris patina. A good metal polish will keep the finish shiny if you prefer. Requires one standard clear E27 bulb (not supplied). Please note: this item will need to be wired in. It is recommended that fitting be carried out by a qualified electrician. Full instructions supplied.